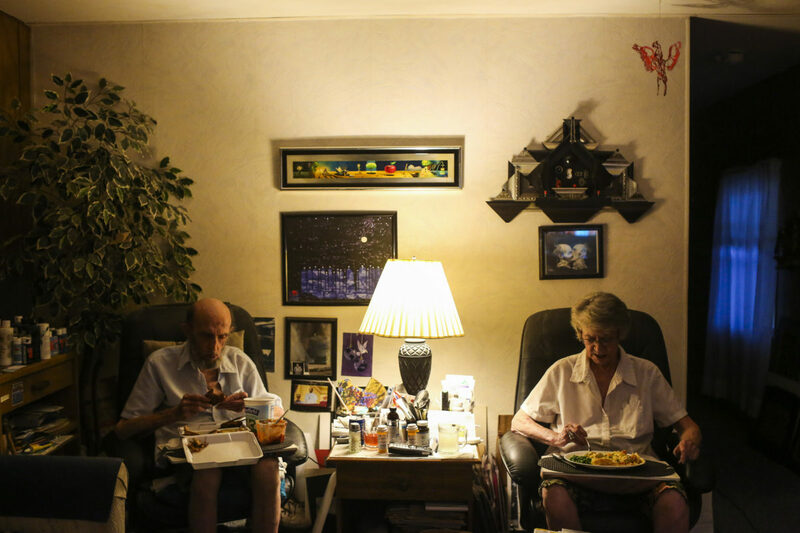 Ronald "Ted" Andrews and his wife Carolyn sit in their living room eating potpies for dinner from Lee's Chicken in Ocala, Florida on September 28, 2016. 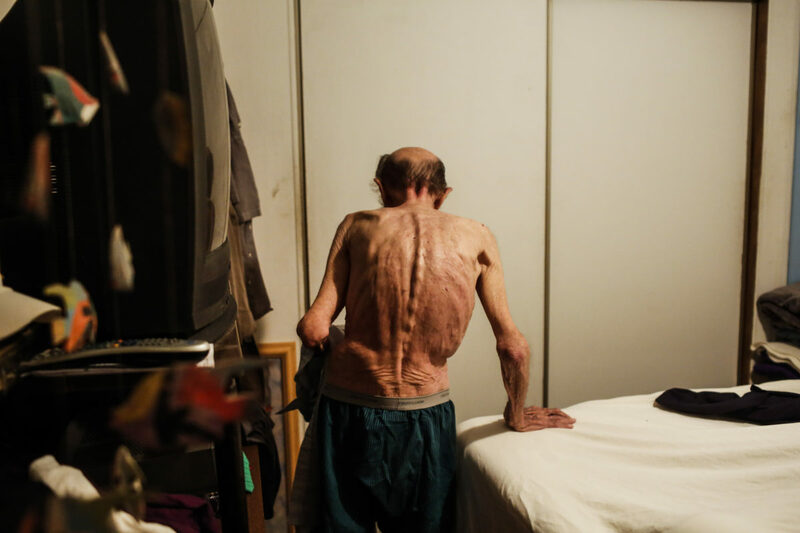 Eating became more and more difficult for Ted as his illness and age increased. He had his throat stretched several times to help with his eating, but they weren't effective for very long. 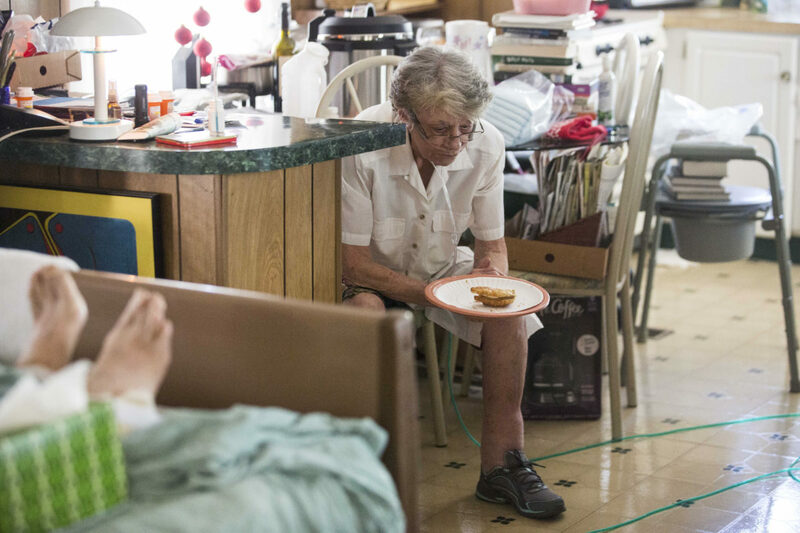 Carolyn helped by trying to make food for Ted he could easily swallow, but by the end of his life, that was difficult. 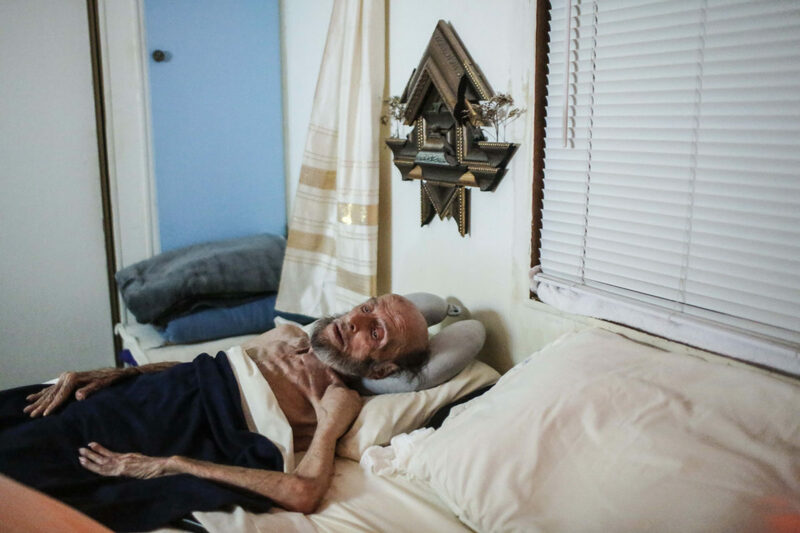 Despite having the intentions of starving himself to death, Ted was trying to eat and drink until the end of his life. 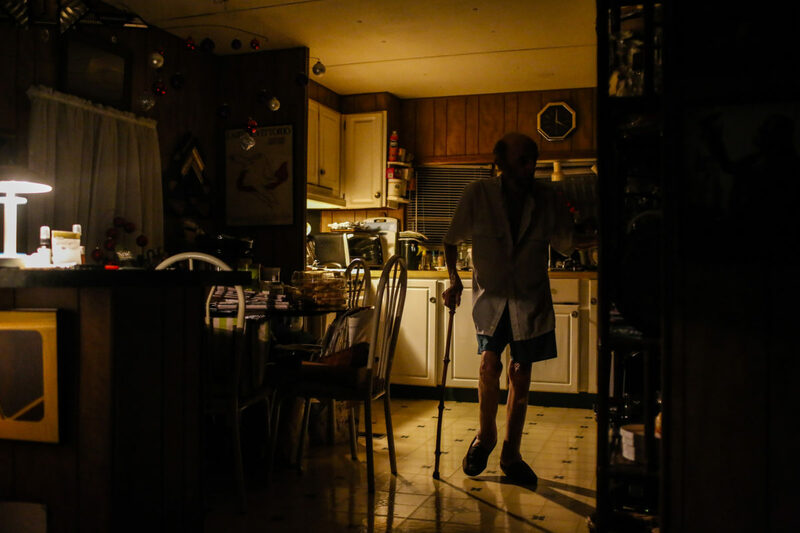 Ronald 'Ted' Andrews slowly makes his way from the kitchen to his easy chair, using a cane, after waking up at 3:30 in the morning in his home in Ocala on September 29, 2016. 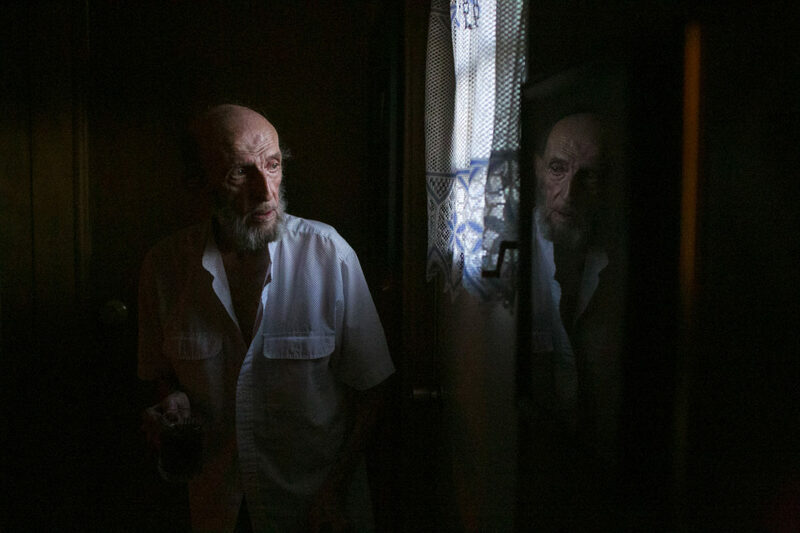 Hard as Ted tried, he was unable to sleep more than a few hours every night as his illness worsened. 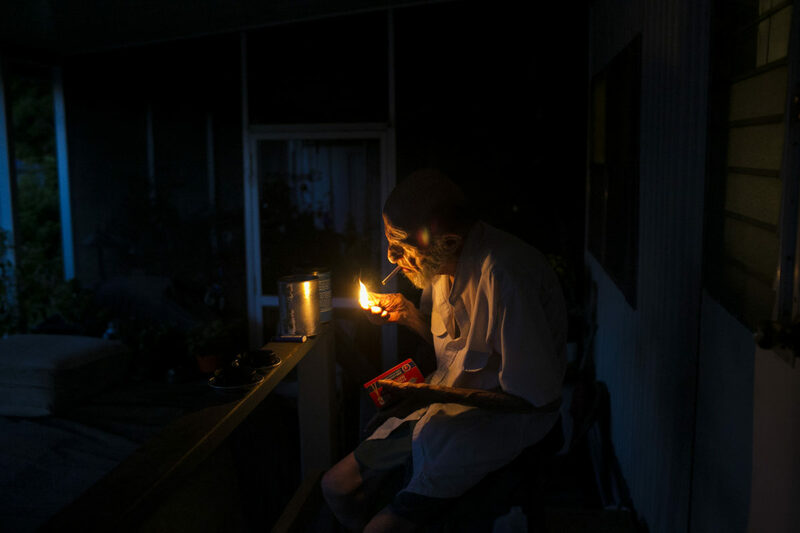 Ronald 'Ted' Andrews makes himself a cup of coffee after waking up a 3:30 am, after only a few hours of sleep in his home in Ocala. 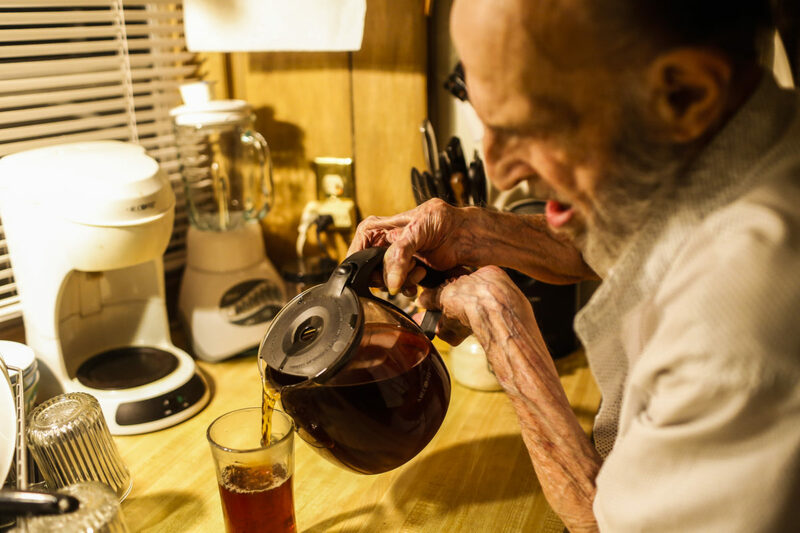 As Ted's ALS progressed, he lost more and more muscle mass making ordinary tasks like pouring coffee from a coffee pot require two hands. 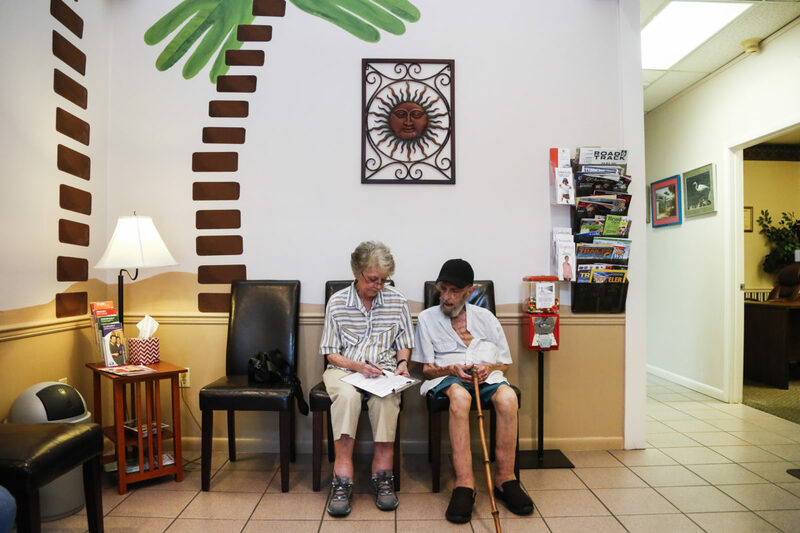 Ronald 'Ted' Andrews gets his head worked on during a visit to the chiropractor office in Ocala on September 29, 2016. Ted felt instantly better after this visit, feeling more energy and had an easier time moving around. Unfortunately, this feeling didn't last very long and his pain quickly returned. 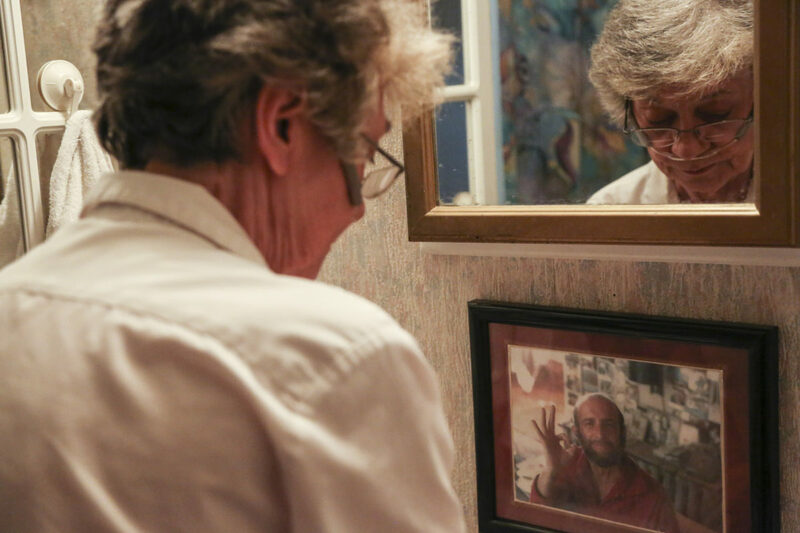 He began to reach out to assisted suicide support groups, created a living will and began to create plans that would give him the control he so desired to take his life back from this slow and painful disease. 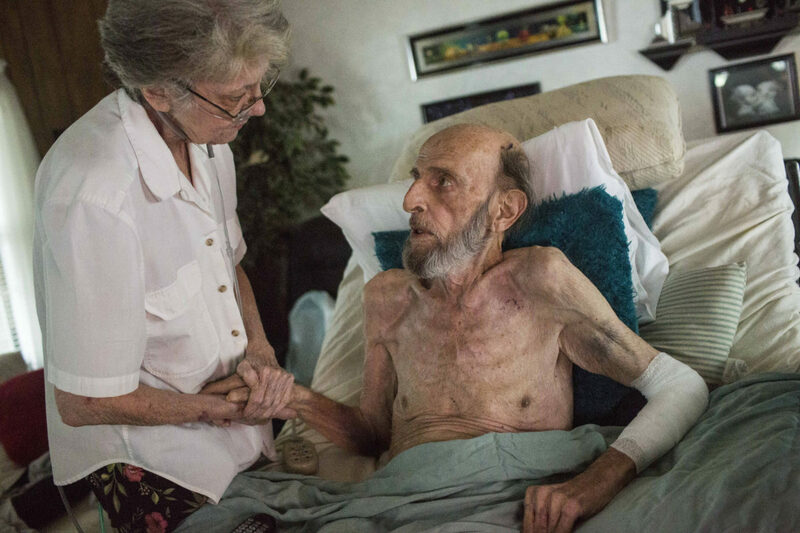 But his wife Carolyn still held out hope that with vitamins, new treatments and positive thinking, he could live a longer life than Ted was planning. Ted began to face the impossible decision that so many in his position have had to face. 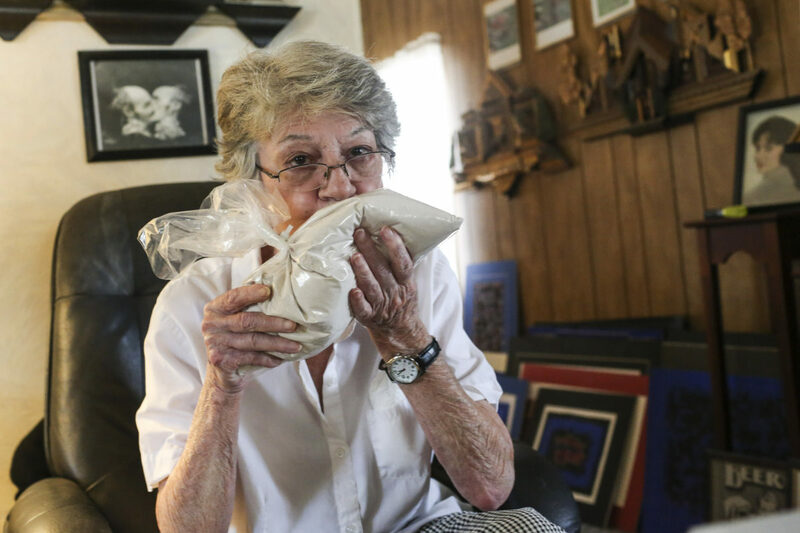 In states where terminally ill patients have access to life-ending drugs, many hold on to them just for the control they bring. 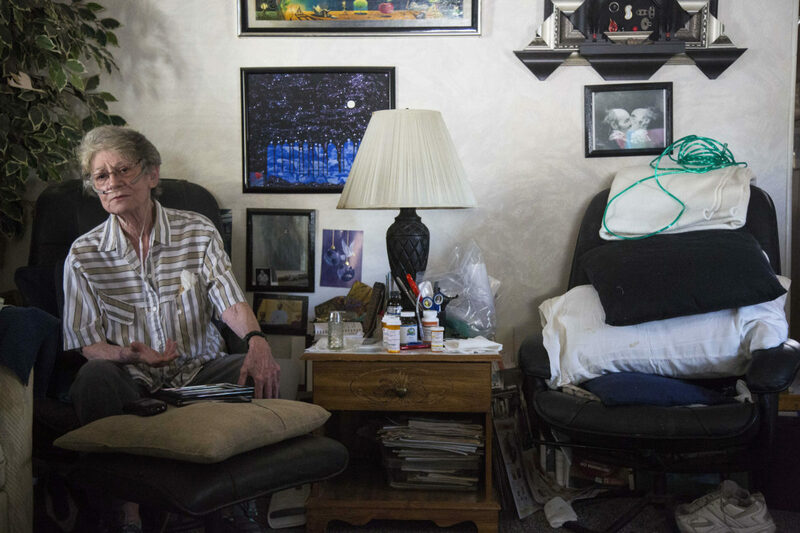 In Oregon, where a Death with Dignity Act took effect 18 years ago, state figures show 1,545 people have gotten end-of-life prescriptions. A third never took the medication. Ted didn’t get to end his life on his own terms. 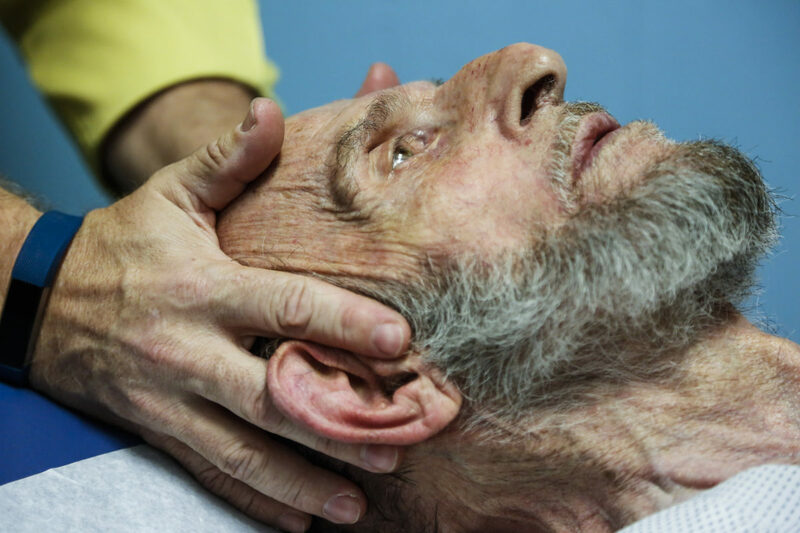 He was placed in hospice care and passed away in his sleep shortly after being admitted. 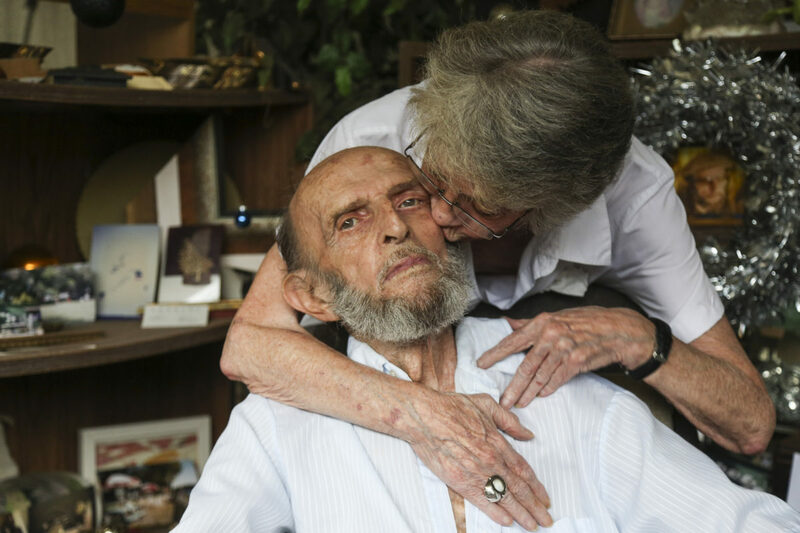 By the time he passed away, the last year of his life had taken a significant toll on Carolyn. 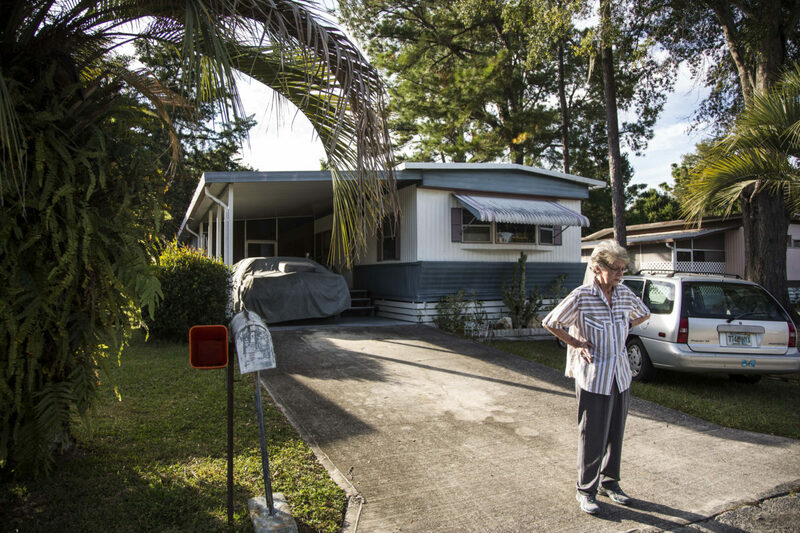 She was down a significant amount of weight and had to bring an oxygen tank with her wherever she went. Ted always had said he didn’t want that, wouldn’t put her through such an ordeal. But he had. Not out of selfishness but because no matter how strong your convictions are to do what you think is right, it can be even harder to let go.